The clearance of travellers at Beitbridge Border Post has relatively improved after border authorities reviewed their operational strategy. This has also been helped by the figures of people accessing the border which reduced significantly a day before Christmas. Last week, the border post had become clogged with both vehicular and human traffic as many Zimbabweans based in South Africa arrived for the holidays. 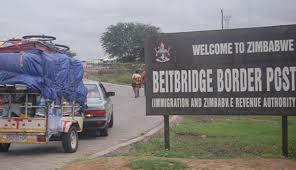 Assistant immigration officer in charge of Beitbridge, Mr Notius Tarisai said they were clearing about 16 000 travellers daily down from between 24 000 and 30 000 during peak period. He said though a few people had started going back to South Africa, they were anticipating the numbers to peak from January 1. “The situation at the moment is manageable, we are handling around 11 000 departures and 6 000 arrivals. We have reviewed our operation plan to ensure that we create a smooth environment for efficient services for those leaving or entering the country,” said Mr Tarisai.